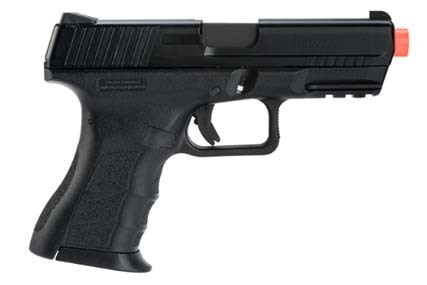 The all-new KWA 2016 model ATP-C, was designed with the concealed carry market in mind. The compact version of the ATP-LE features the same durability and reliability as its larger counterpart. The newest edition to the ATP series also carries a lower polymer frame and aluminum alloy slide makes the pistol light and cost effective. An accessory rail provides the operator with a tactical advantage and three dot sights allow for a rapid target acquisition. With the increasing cost of ammunition and the risks of live fire training, the KWA ATP-C is a formidable addition to any professional or airsoft collection. 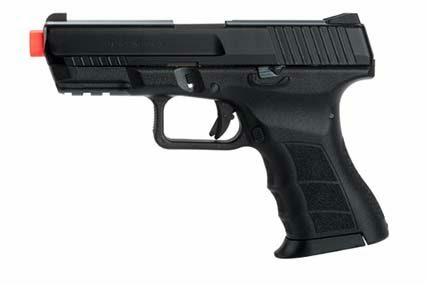 The Adaptive Training Pistol, or ATP, was KWA’s first originally designed training pistol unique to the airsoft market. It was designed to resemble the fit and feel of familiar duty weapons currently used by law enforcement and military groups. With the increasing cost of ammunition and the risks of live fire training, the KWA ATP Series is one of the most cost effective and valuable training tools available.